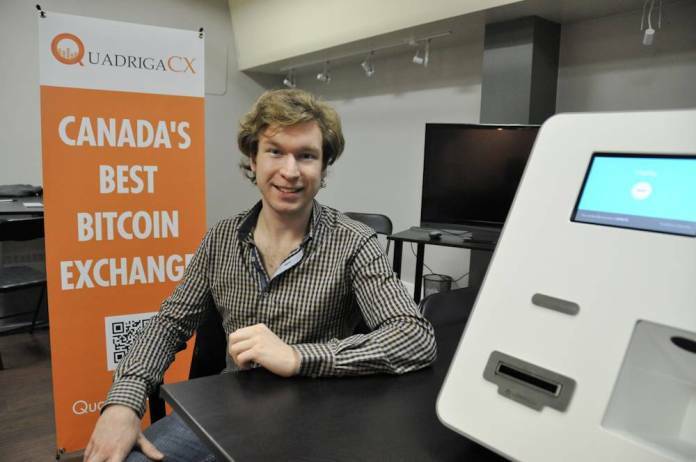 The Canada-based cryptocurrency exchange QuardigaCX has suffered a major setback after the untimely death of its founder and CEO Gerald Cotten. Apparently, Cotten had exclusive and crucial information about the exchange’s password. Now that the CEO is no more, the exchange claims to have lost access to an exorbitant virtual currency amount that totals around $145 million (CAD 190 million). For your information, QuadrigaCX is Canada’s leading and largest Bitcoin exchange. The exchange, unfortunately, cannot access its cold storage or offline wallets because they simply don’t know the password. The only person who knew, Cotten, is dead. As a result, the exchange has filed for legal protection in the Nova Scotia Supreme Court to address liquidity issues. According to CoinDesk, the exchange is seeking legal protection because it cannot repay $190 million ($250 million CAD) to its creditors in client holdings. The exchange, explains Cotten’s widow Jennifer Robertson in a sworn affidavit, has to pay funds to its creditors in cryptocurrency and fiat money but it can only access a meager amount stored in the Hot wallet. Therefore, the court should get the exchange enough time from its creditors for repayment until it finds a way to access the frozen funds. The company stored most of its funds in a cold wallet to prevent hackers and cybercriminals from stealing it. The website of QuadrigaCX is also inactive as of now. The cold wallet is a physical device that doesn’t hold any connection to the internet. According to Robertson, her late husband didn’t share any information about the password and neither does any other member of the team can access the cold wallet. Although she has Cotton’s laptop she cannot decrypt the password and a technical expert hired by the firm also couldn’t bypass the device’s encryption. Cotten also hasn’t left behind any business records, revealed Jennifer Robertson. Some people are speculating that the funds have been moved since the case received a lot of public attention but there is no evidence to prove the claim. Furthermore, people doubt that the sudden death of the firm’s CEO is also fake news circulated to create an exit scam. However, Cotten’s death certificate has already been presented to the court in the filings. “The number of Bitcoins in QuadrigaCX’s possession is substantially less than what was reported in Jennifer Robertson’s affidavit, submitted to the Canadian courts on January 31st, 2019,” wrote Crypto Medication. Nonetheless, one thing is clear that if the password is never decrypted, a large number of cryptocurrency owners having funds in the QuadrigaCX wallet might not be able to get their funds back.